SUBROSA Bitchin cranks are in stock now and ready to ship in 170mm and 175mm sizes! Over the past few years the Subrosa Bitchin cranks have proven to be some of the best quality cranks on the market! Click HERE to view our current selection of sizes/colors. Superior durability with a unique look sets these cranks apart from the rest. These cranks feature a lifetime warranty to the original owner for. 2.5pc crank set requires only 1 bolt to tighten your cranks together. Low profile, lightweight crank arms made from seamless 4130 chromoly with post weld T5 Deathproof heat treatment. T5 heat treated 4140 chromoly 48 spline spindle. Includes installation / removal tool. Weight: 29oz. Not for use with spline drive sprockets unless you care to flip your cranks. 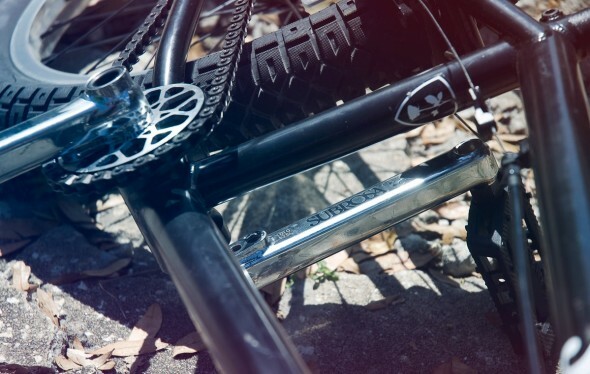 « Subrosa Magnum Bash Guard Sprockets are in stock now and ready to ship!